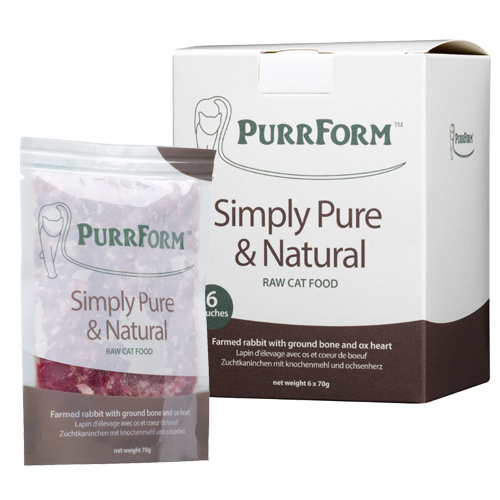 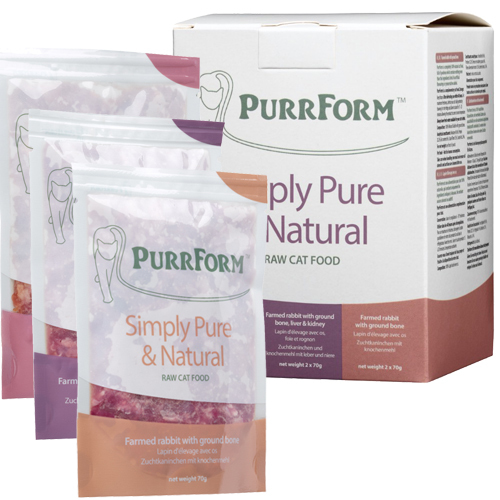 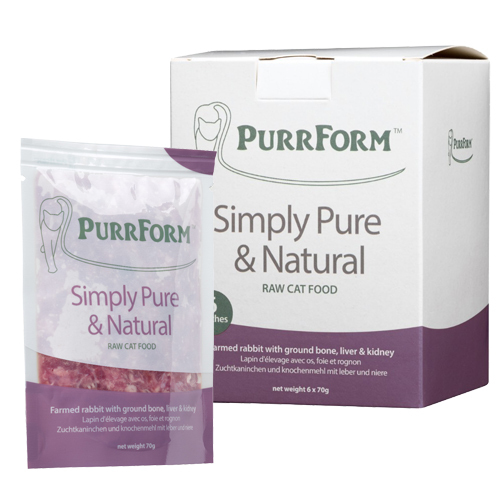 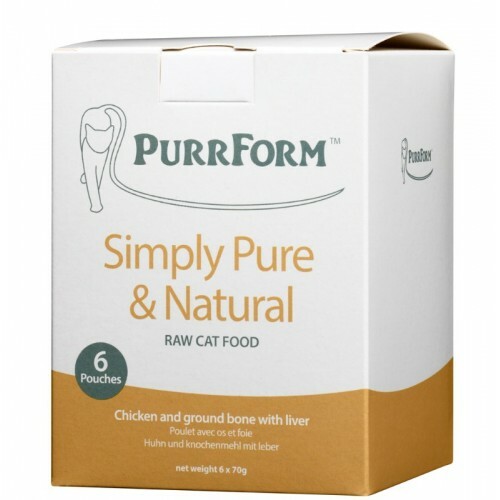 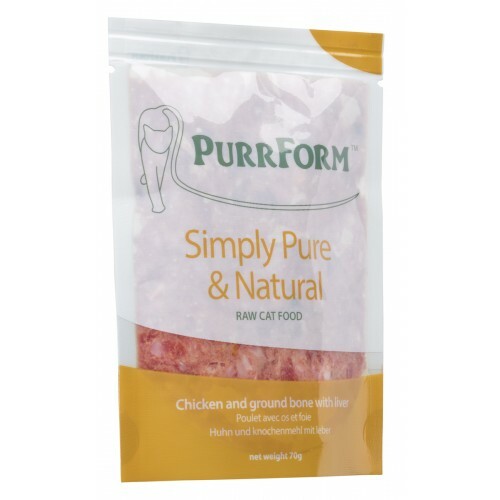 PURRFORM Chicken meat and bone with Chicken Liver is a complete natural pet food for adult cats that contains nothing more than the ingredients listed. 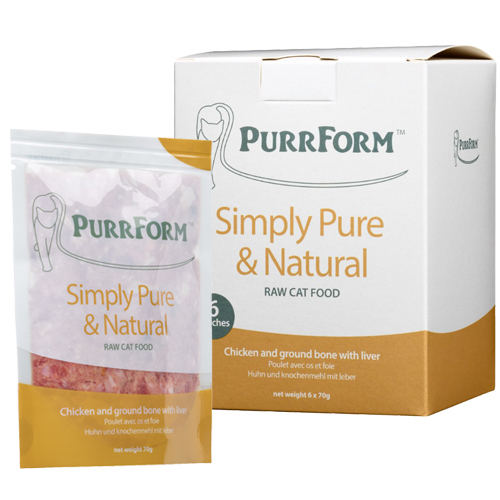 Composition: Chicken with bone 90%, Chicken Liver 10%. 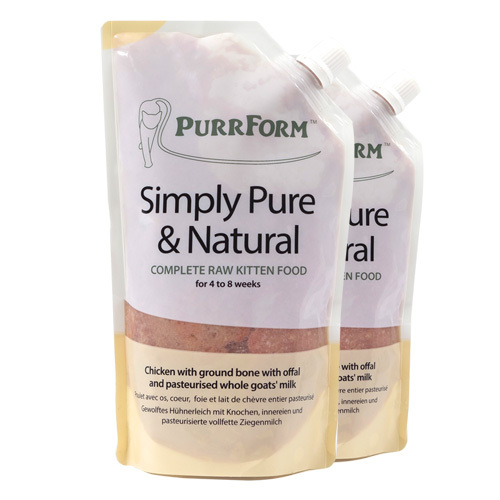 Analytical Constituents: Moisture 66.4%, Protein 18.0%, Fat 11.5%, Crude Ash 4.5%, Crude Fibre 1%.